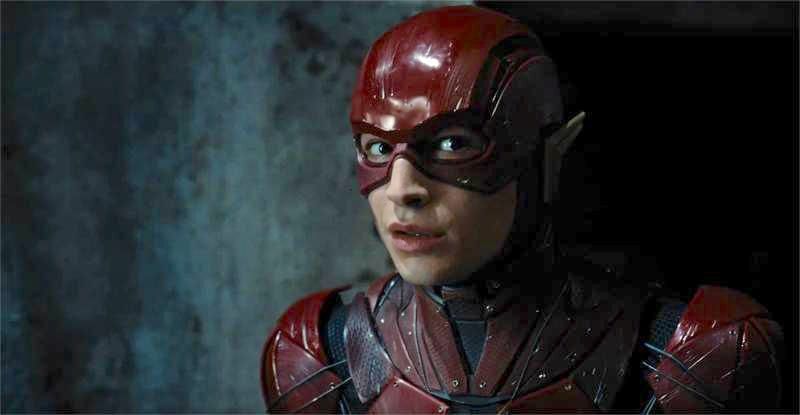 A video has surfaced online of Ezra Miller, the Snyderverse Flash, refusing to sign a silly comic book fan’s Marvel poster, for obvious reasons. We’ve seen Miller’s Flash take down Captain Boomerang in a Suicide Squad cameo, and we watched him mess up a convenience store in Batman v Superman. He was a bright spot in the Justice League Comic-Con footage, and now he’s wreaking havoc in the streets as a loyal member of the DC family. The silly, misguided fan in the below video is barking up the wrong tree. In a response that can only be described as incredulously hysterical, Miller refuses to sign the rabid fan’s poster when presented with the opportunity. The reason? It was a poster for Marvel’s Agents of S.H.I.E.L.D — which has nothing to do with the Flash — ya newb! Miller was busy promoting Fantastic Beasts and Where to Find Them anyway, so this fan was apparently just lost. The Speed Force was with Miller as he patiently opened with, “You understand why I can’t sign that, right?” Assertive, yet forever a DC loyalist, he patiently offers, “Find me something else. I’ll sign it.” What a guy. Keep in mind, however, that he quickly reiterates, “I can’t sign that. It’s SO obvious that I can’t sign that.” The man, bumbling a bit from the public humiliation, gesticulates with a vaguely aggressive middle finger at the poster, which sports a myriad of signatures — no doubt from other DC properties and perhaps even some Valiant or Harry Potter universes as well. “Is DC Justice League still Marvel as well?” the man asks, hopeful. You poor, poor soul. "Look! Wonder Woman and Batman already signed." The only thing we’re dead sure of is that Ezra Miller gives zero fucks about Marvel now that he has gone all-in on this whole Justice League Snyderverse thing.